You’ll be silent forever, and I’ll be gone in the dark. Three decades later, Michelle McNamara, a true crime journalist who created the popular website TrueCrimeDiary.com, was determined to find the violent psychopath she called the Golden State Killer. Michelle pored over police reports, interviewed victims, and embedded herself in the online communities that were as obsessed with the case as she was. At the time of the crimes, the Golden State Killer was between the ages of eighteen and thirty, Caucasian, and athletic - capable of vaulting tall fences. He always wore a mask. After choosing a victim - he favoured suburban couples - he often entered their home when no one was there, studying family pictures, mastering the layout. He attacked while they slept, using a flashlight to awaken and blind them. Though they could not recognise him, his victims recalled his voice: a guttural whisper through clenched teeth, abrupt and threatening. I’ll Be Gone in the Dark - the masterpiece McNamara was writing at the time of her sudden death - offers an atmospheric snapshot of a moment in American history and a chilling account of a criminal mastermind and the wreckage he left behind. It is also a portrait of a woman’s obsession and her unflagging pursuit of the truth. Framed by an introduction by Gillian Flynn and an afterword by her husband, Patton Oswalt, the book was completed by Michelle’s lead researcher and a close colleague. 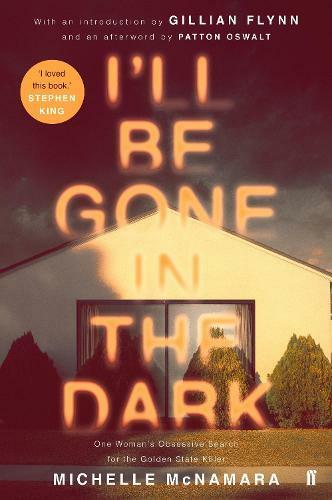 Utterly original and compelling, it is destined to become a true crime classic - and may at last unmask the Golden State Killer.